If you have an Apple Watch, you have an iPhone. So, why not display them on the same stand when charging them? 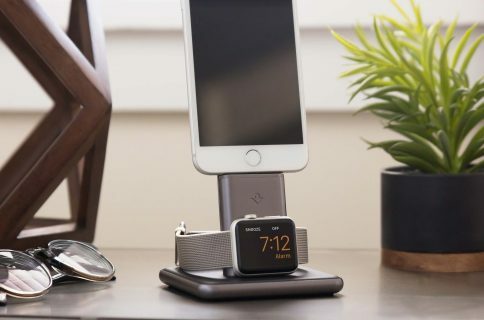 Orzly makes a dual charging dock that holds both devices so you can set them up on your nightstand or desktop for a sleeker look. The DuoStand is made from anodized aluminum to match your other Apple products, like the MacBook or iMac. It has a slim, minimalist design representative of the aesthetic that we know so well from Apple. The front of the dock, where you rest your iPhone 6s, is tilted back slightly so you can tap away at the screen without it tipping over. The device rest has foam padding to protect your iPhone from scratches. 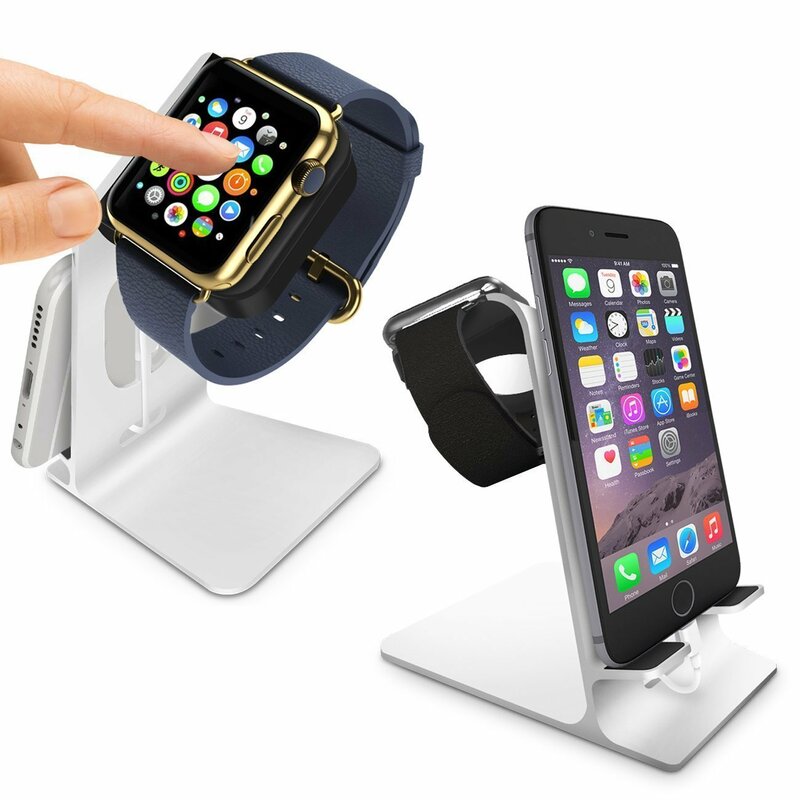 Reaching out from the back of the iPhone dock is the Apple Watch stand. It is a small square extension with a hole in the middle. 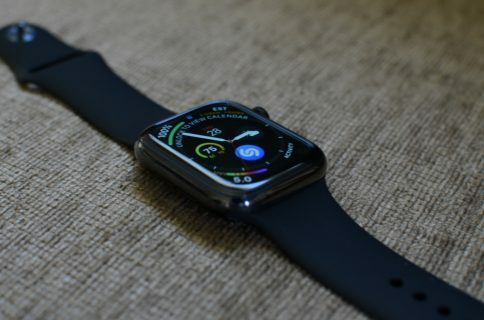 The top of the stand is covered in soft, rubberized material so you can rest your Apple Watch on top and it won’t slip off. The hole is designed so you can securely fit the Apple Watch charging cable in place. 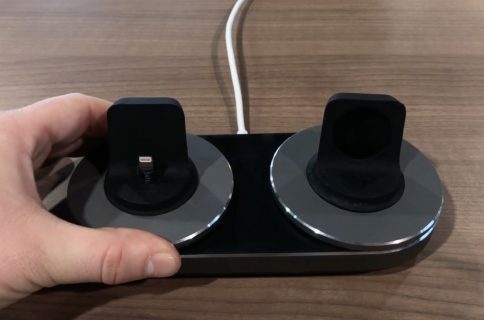 Since you use your own charging cables, this dock doesn’t have to be MFi certified. The benefit of not having to certify the device is that the company can keep the price low. The DuoStand comes in black, silver, gold, and rose gold (which actually looks a little more like pink than rose). It is available on Amazon, where it has a 4.5-star rating, for between $12.99 and $19.99, depending on your color preference. The iPhone stand is universally compatible with all models, and is even designed to hold an iPad without tipping over.